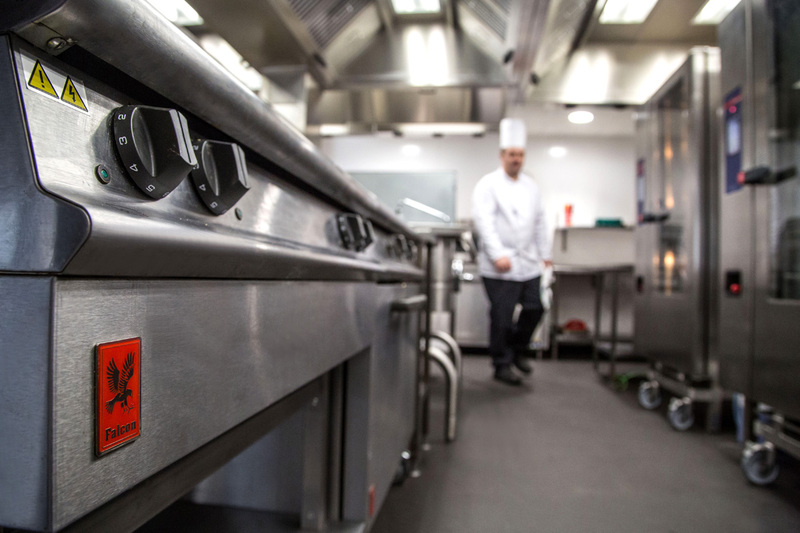 At the heart of any catering operation is the kitchen – and the heart of The Heart is built around refrigeration from Williams, alongside cooking equipment from sister company Falcon Foodservice Equipment. 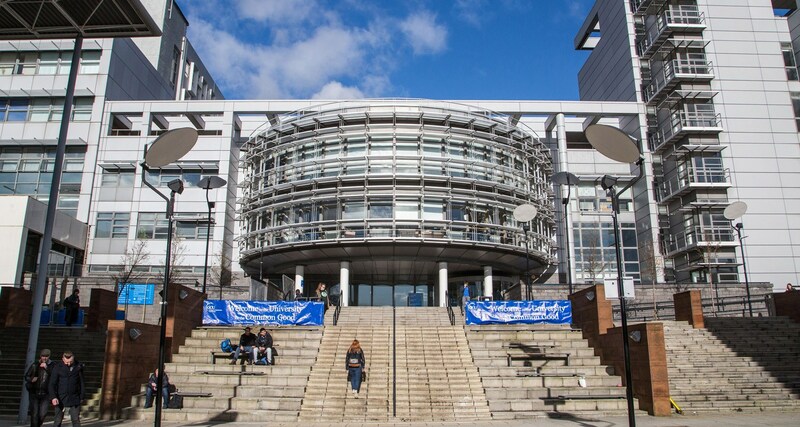 “The restaurant reflects the rich ethnic mix of students here,” says Frank. 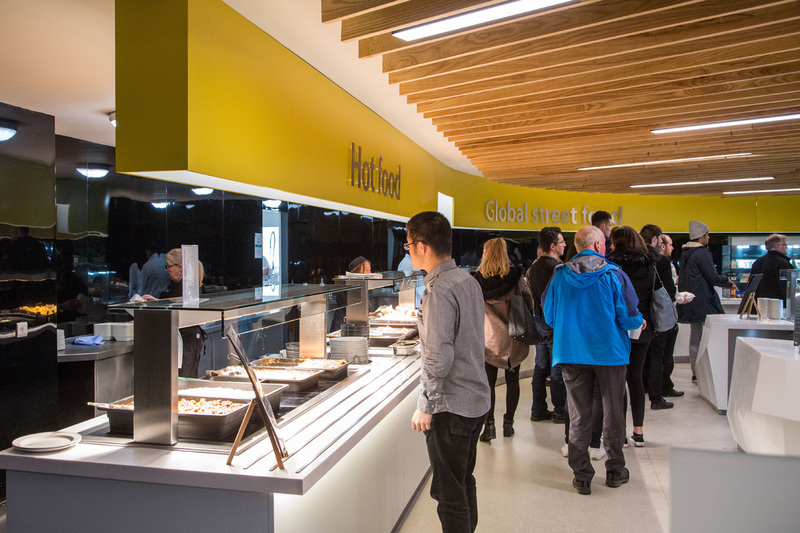 “It’s essentially a food hall with a wide variety of different offerings, many cooked live – it’s great theatre. So much front-of-house catering puts added pressure on refrigeration. “The equipment has to look good, be easy to clean and be ultra-reliable,” says Frank. 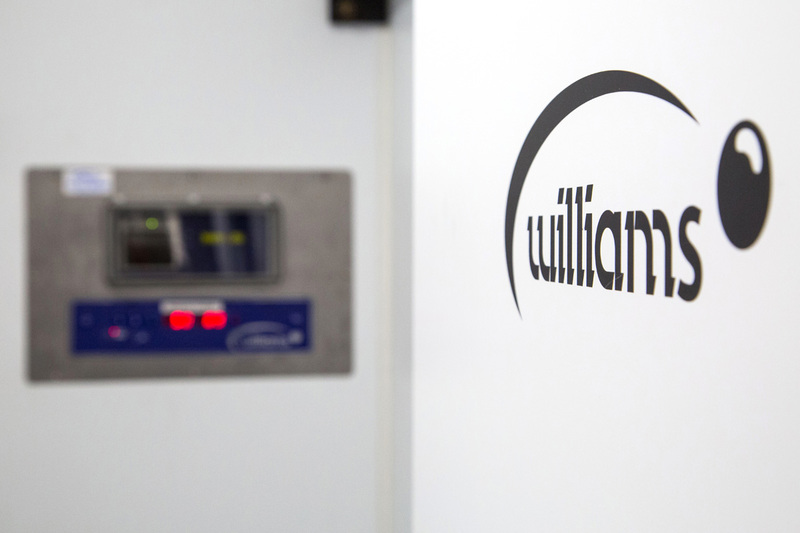 “With Williams, we’ve used their equipment for thirty years or more. We know how reliable it is and how good their back-up service is. They’re a very responsive company and they offer a huge range of models. Our old kitchen was compact and it could get very, very hot. The Williams fridges stood up to the lot. Any refrigeration would have had problems coping, but if we had an issue the Williams guys were there right away to fix it. 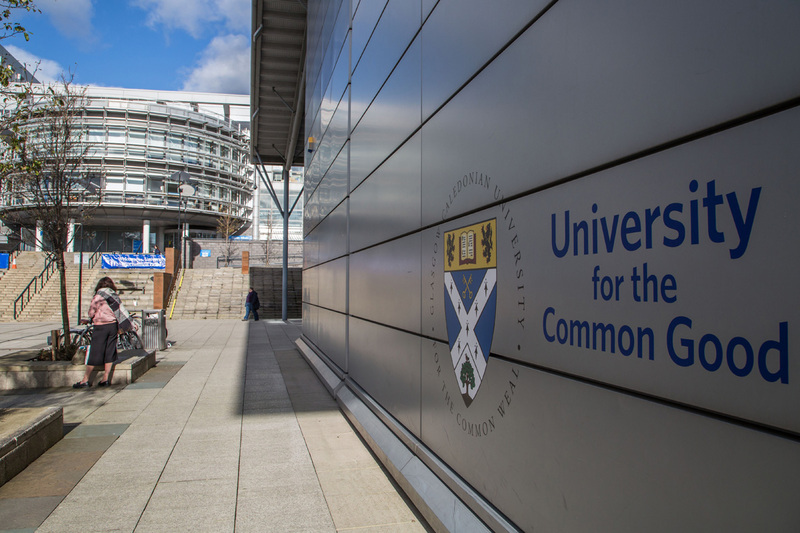 The catering is run by Cordia and initially Caledonian University’s new kitchen will supply The Heart restaurant and other catering outlets on campus. However, it has the capacity to expand and ultimately it may supply food for functions for Encore, Cordia’s hospitality arm. 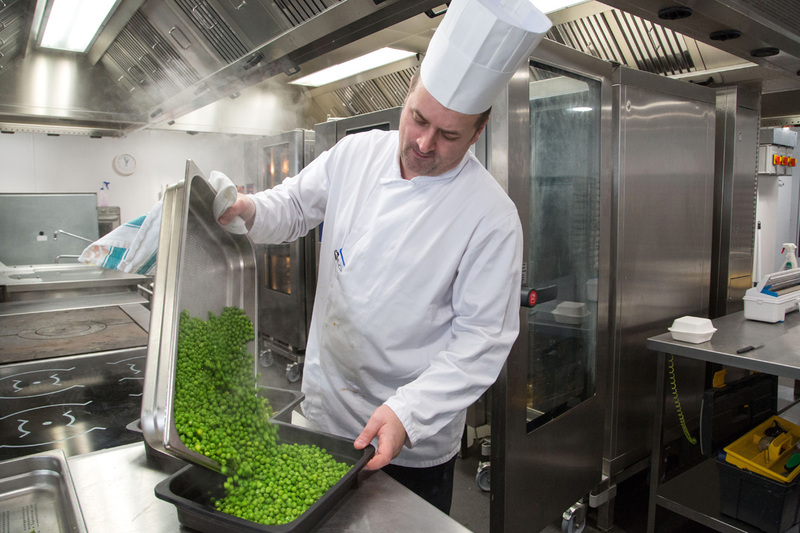 “With the Williams blast chillers, plus the Falcon combis and other prime cooking equipment, we can supply high quality, high volume cook-chill menus for large scale events,” says Frank. 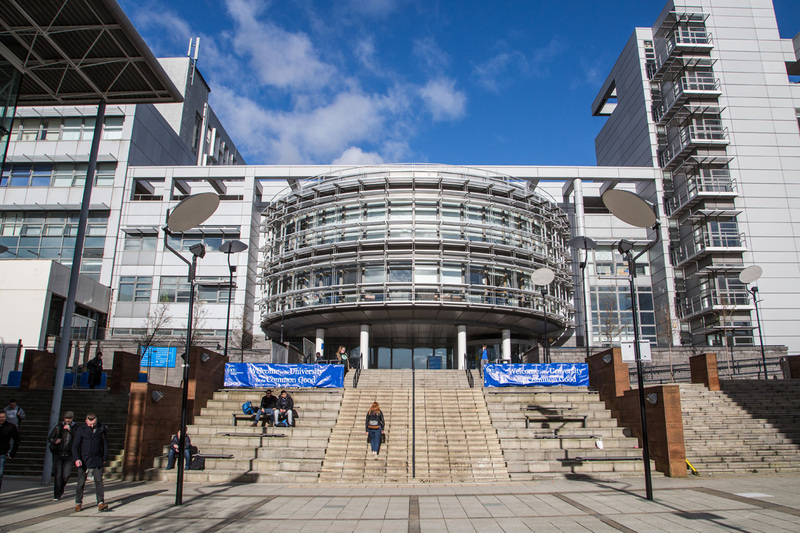 Sustainability is at the top of the list of buying criteria throughout the university. 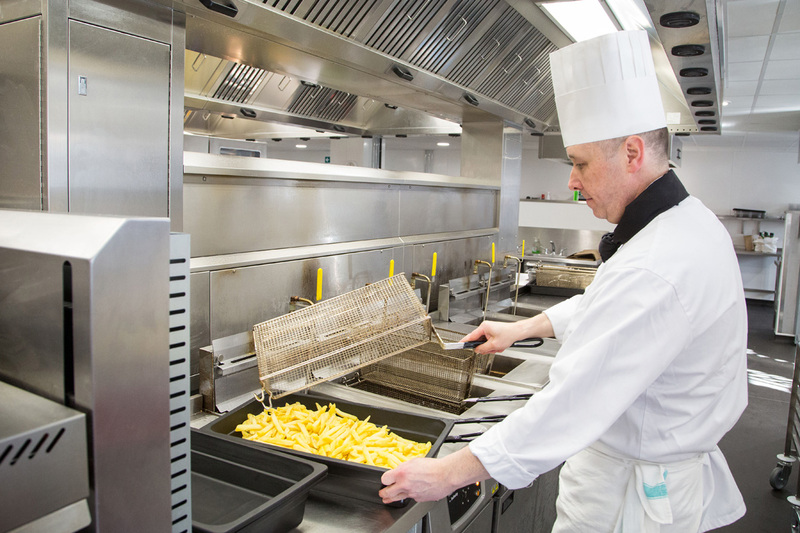 “I have no doubt that we have reduced energy consumption in the kitchen by utilising new technologies,” says Frank. 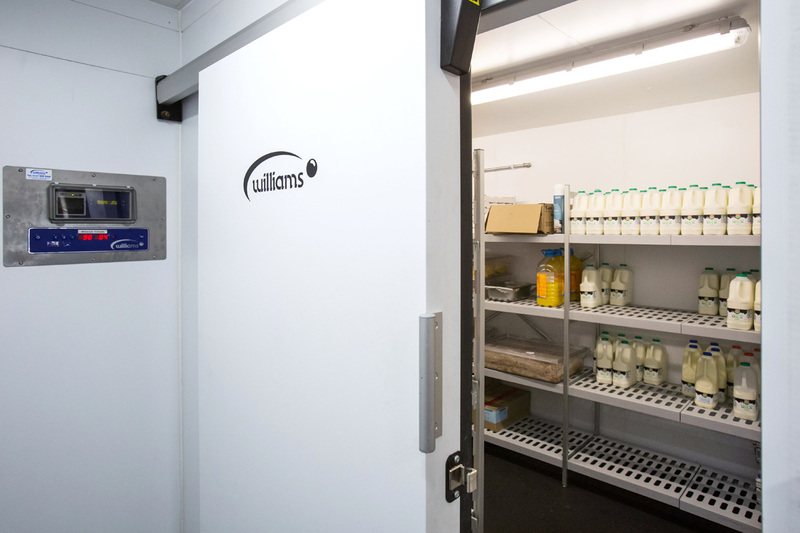 For example, the refrigeration uses Williams’ CoolSmart controllers. 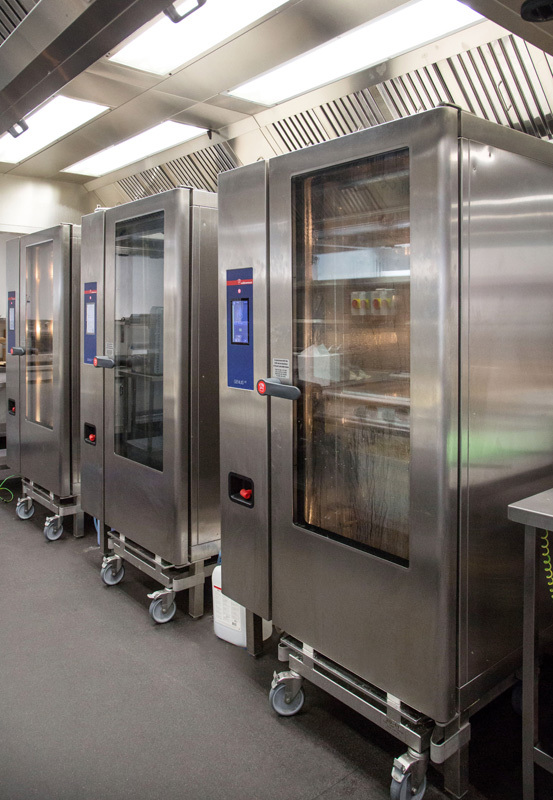 These minimise the cabinet’s energy requirements through processes such as fan and heater pulsing, intelligent defrost and independent management of evaporator and condenser fans, reducing consumption significantly. As is standard with a modern kitchen design, there is huge emphasis on hygiene, food safety and avoiding cross contamination. 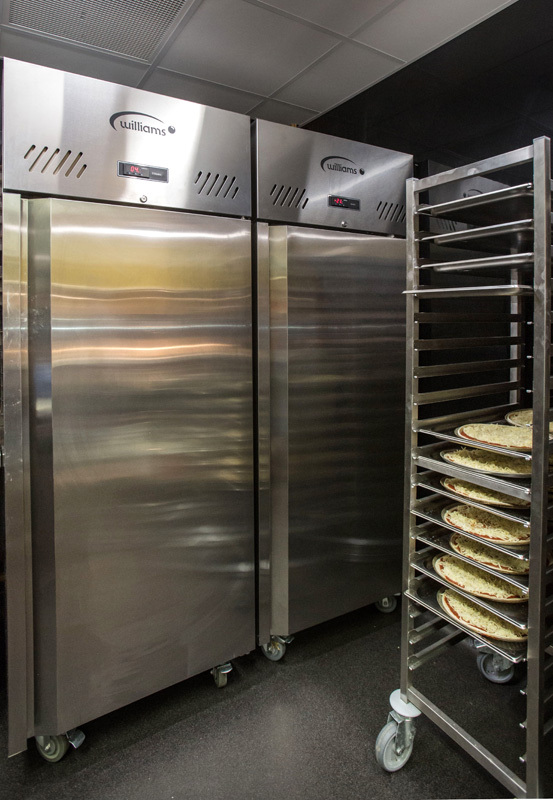 “It’s great that modern equipment is so easy to clean – the Williams fridges have ergonomic designs and rounded corners, and everything is on wheels so we can get under them,” says Frank. With increasing demand for halal foods, both the kitchen and the restaurant have separate halal areas, as well as a specialist chef, from the Punjab, to help meet the cultural and religious requirements. 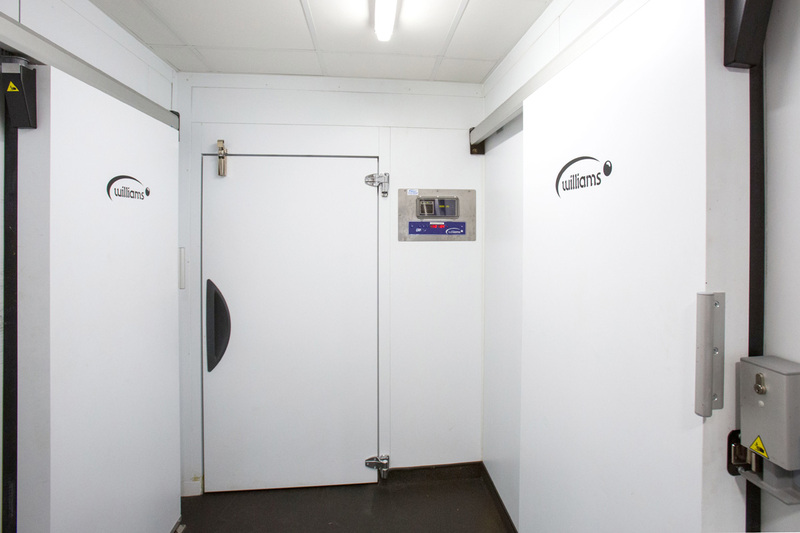 In addition, there are separate coldrooms for storing raw meat, cooked meat, dairy and vegetables. Similarly, the equipment is designed for ease of use. 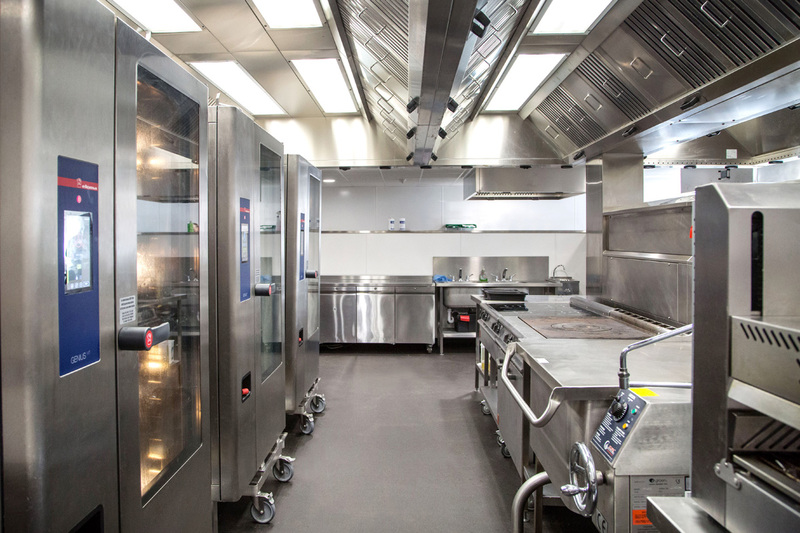 “For example, the blast chillers are Williams’ latest models and they are very simple to operate, which makes life easy for the kitchen brigade.